Successfully Added External DVD Drive - Portable USB 2.0 DVD Reader to your Shopping Cart. 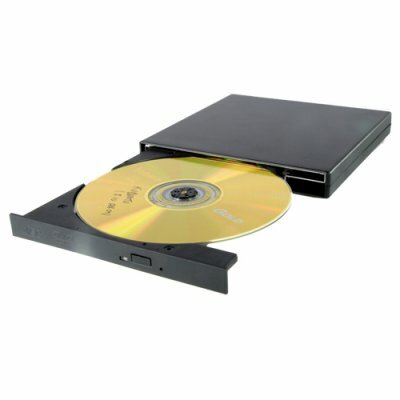 This fully portable DVD drive is the simplest way to add an optical disc drive to your new E-PC or existing desktop computer. Great news for those out there with older computers or those who have bought new netbooks (E- PC's) or mini laptops only to find they don't have an optical drive to read DVD's and install new disc based software. This new slim, lightweight and durable form-factor drive will mean you can easily carry it around and you'll barely notice it in your notebook bag. This is a simple plug and play device for Windows computers that reads all of todays DVD & CD disc types. To use this drive, simply plug in the supplied USB cables and it'll power up and it's ready to go. Given the current tougher economy, why not stay home and treat yourself right on your next holiday by doing some upgrades to your existing computer equipment? With a little TLC, that existing computer can easily provide you with another year or two of service. The CVFW-E09 is another useful computer peripheral brought to you by the leaders in direct from China wholesale electronics, Chinavasion.